No job is too small and no job is too big. Call today! Providing Oregon with the Highest Quality Auto Upholstery with over 35 years of experience! Here at Bright Auto Upholstery, customer satisfaction is #1, our goal is simply to make you and your car completely happy and looking its absolute best. We have tons of options for fabric, stitching, color and style! From classics to customs, we do it all! Roadwire Leather Interiors provides factory replacement interiors for nearly all years, makes and models of cars, trucks, vans and SUVs. This includes top quality leather and vinyl upholstery, door panels and automotive accessories at an affordable price. Automotive Leather Eleganza Atelier (Alea) Leather Specialist, Inc. is a company that distributes premium quality leather seat covers and innovative car accessory products throughout North America. We now carry and provide Katzkin Leather Interiors! Imagine your car with a luxurious, premium leather interior. Maybe you’ve wanted one but thought it was really expensive at the dealership. Or you didn’t know that you could easily upgrade your cloth seats on the car you have now. Whatever your dream, Katzkin can deliver it, adding luxury, comfort and style to your vehicle at an affordable price.! From original looks to outrageously custom works, we have the passion and experience to renew your classic car like no other! Get in touch with us for information on a free estimate today! 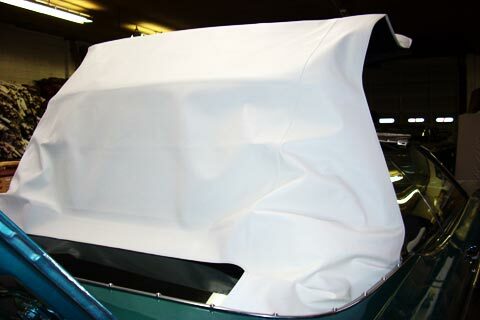 Leaky and torn convertible tops can create more serious damages to your car especially with our local climate. Restore your convertible top and start driving your car with confidence again. Truck upholstery can certainly take a beating in the Northwest. Whether you have a show truck or a work horse, we have the experience and skill to create a durable and beautiful interior for your truck. Get your custom upholstery started today! 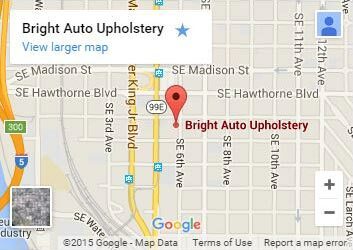 For quality auto upholstery, Portland relies on Bright Auto Upholstery. That’s because auto enthusiast know that the upholstery is the heart of a vehicles interior. 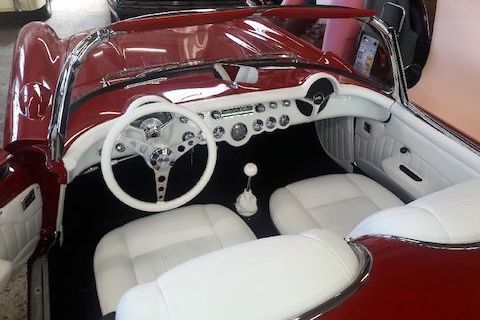 Our experienced and dedicated auto upholstery company can restore a vintage vehicle to its original specifications, provide a custom interior that accentuates an auto, and create flawlessly fitting pieces that look like they were always a part of the design. For professional auto upholstery, Portland vehicles benefit from a legacy of experience and superior work. We’ve been performing auto upholstery since 1976. Though the vehicles that come into our shop may have changed, our dedication to quality hasn’t. We work with all upholstery materials, and can match existing interior patterns or create new ones to give your vehicle a unique edge. 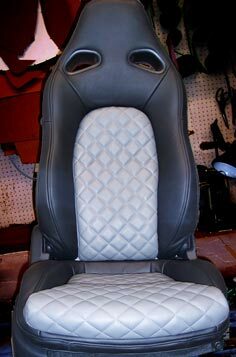 Get incredible custom auto upholstery for your vehicle! Our experienced auto upholstery professionals know how to take incredible care of your vehicle. Whether we’re designing and installing seat upholstery, headliners, trim areas, door upholstery or flooring, we take the utmost care with installation. Many of the vehicles we work on have custom paint jobs and other unique features, we take the time to ensure these are taken care of throughout the upholstery process. Not every customer comes in for pre-planned auto upholstery. Our upholstery repair will have your vehicle back to its pre-damaged condition in no time. With quality that you can see in every stitch, we work to the highest standards. That doesn’t just mean technically advanced and experienced employees. We use the highest quality materials for our upholstery. 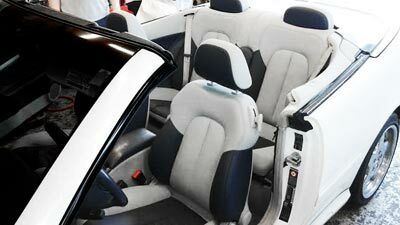 With a high degree of UV and abrasion resistance, you’ll be able to enjoy your new auto upholstery for years to come. For professional precision and show-room quality results call (503) 231-6055 or Contact Us for auto upholstery Portland today. Contact us today for info on our Free Estimates! © 2019 Bright Auto Upholstery. All Rights Reserved.